Have you ever noticed how much stuff comes in to the house? It all comes in, by the bag load! It comes in every week from groceries, school, work, shopping and decorating. It comes in for birthdays, mother’s day, father’s day, anniversaries, graduations (including kindergarten now.) And don’t even get me started on Christmas…but when does it really go out of the house? I am an aspiring minimalist. I have been reading the minimalists.com blog for several years and these two men inspire me to live fully with fewer possessions. My sister recently invited me to attend their live tour called the Less is Now Tour 2017. They are coming to Vancouver BC in September. I cant wait! In honor of their tour, let’s do a Facebook group of their 30 Day Minimalist Game. The rules are simple. On day one, find one item to get rid of it. On the second day, two things. On the third day, three things…and so on. It must leave the house in the garbage or in the trunk by midnight. Anything can go, clothing, books, furniture, that unidentifiable cord in the junk drawer! Click HERE for a free printable worksheet. Before you ditch it, take a picture and post in on the Facebook Group, Washington Woman – 30 Day Minimalist Game August 2017. When you post something, use #minsgame to show them we are playing their game. I look forward to playing with you. Whoever can stay in the game longest wins! 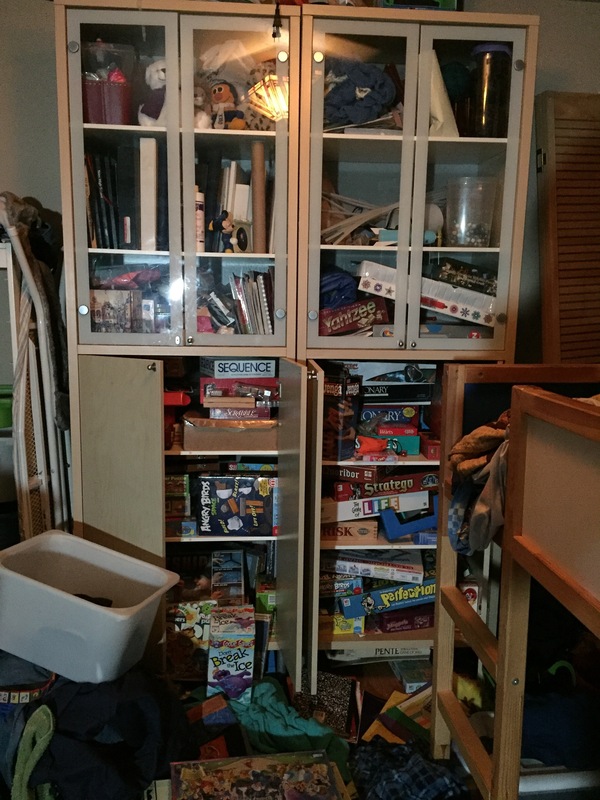 Here is a picture of my kids room…I think I know where to start! This entry was posted in Minimalist, Organization and tagged #minsgame. Bookmark the permalink.